EAST CHICAGO, Ind. 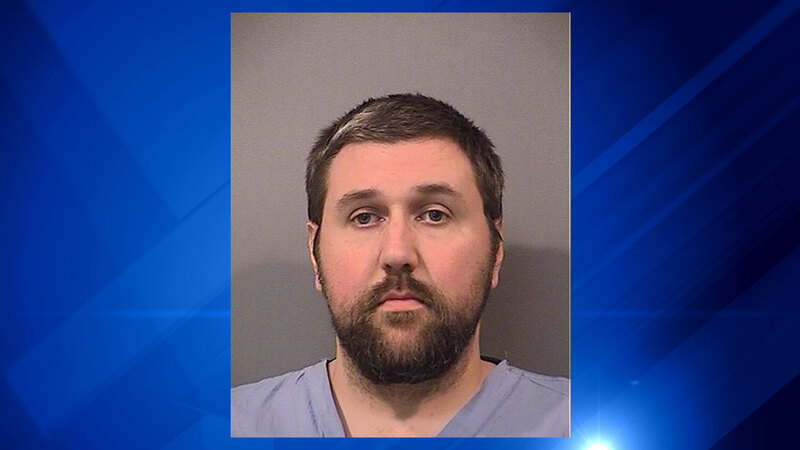 (WLS) -- An East Chicago Central High School economics teacher was charged Friday with stalking one of his students, police said. Jason P. Bredesen, of Merrillville in northwest Indiana, is accused of sending several inappropriate, sexual text and Facebook messages to one of his female students. The messages also indicated that he was "considering harm to both his spouse as well as the student," police said. On Thursday, East Chicago police in northwest Indiana were notified by school administrators about the messages. School officials placed Bredesen on administrative leave pending an investigation after being informed of the allegations, police said. The messages began on or about October 29. On October 31, the student decided to no longer reply to them. The student told police that Bredesen continued to send inappropriate messages for up to at least three days after that. The student showed the messages to her mother, who then contacted school administrators. Police said that when they found Bredesen on Friday, he was in "possession of suicide letters and represented that he had taken a number of prescription pills." He was hospitalized and is now being held in the Lake County Jail. Police are investigating whether Bredesen may have had similar conversations with other students.